I’ve been saving a small stack of farm themed fabric to make something special for my Mom. Before I cut into it, I wanted to try a Swoon Alice on for size. 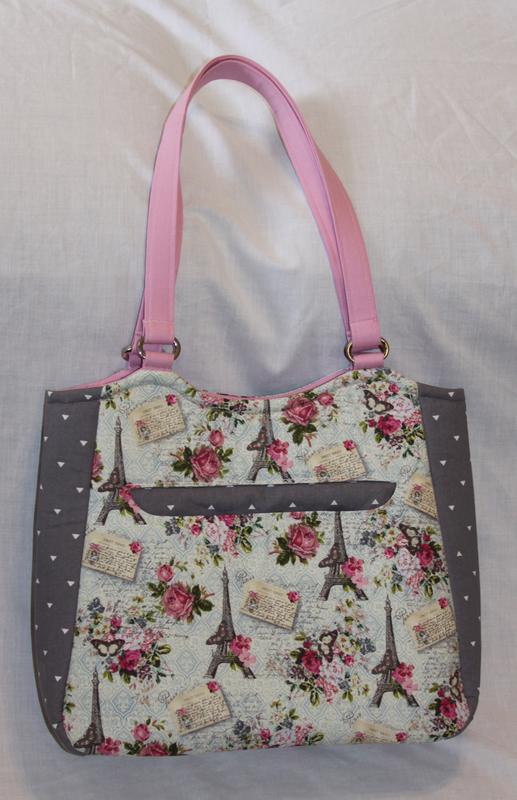 I found this pretty combination of a soft gray and mauve with the Eiffel Tower and flowers. 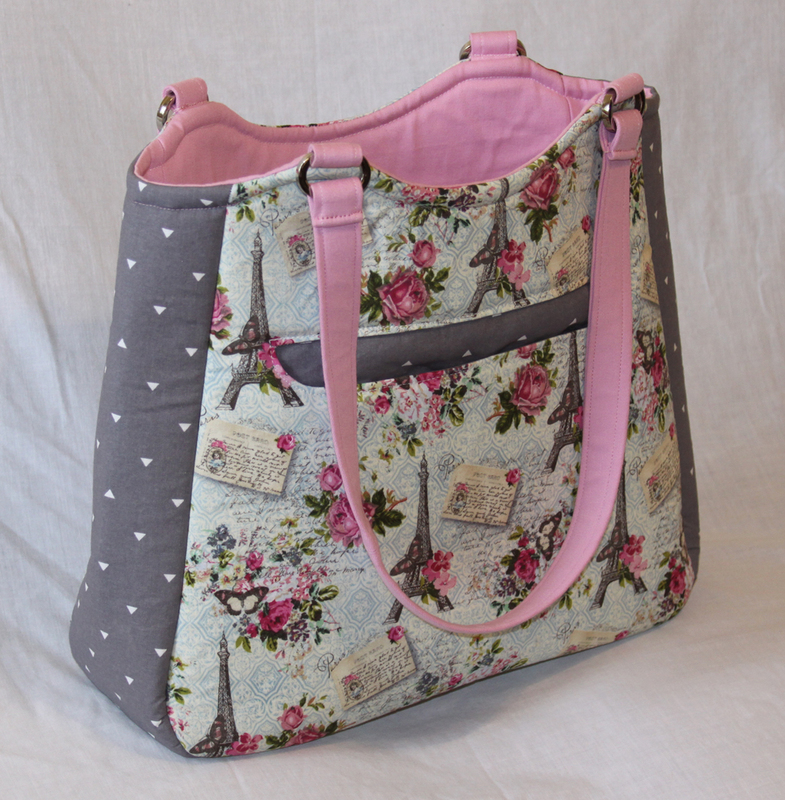 The mauve lining is some terrific, heavier fabric I have used dozens of times in different projects. This marks the last time I’ll get to use it. It’s very soft for how sturdy it is and I’ll miss it now that it’s gone. 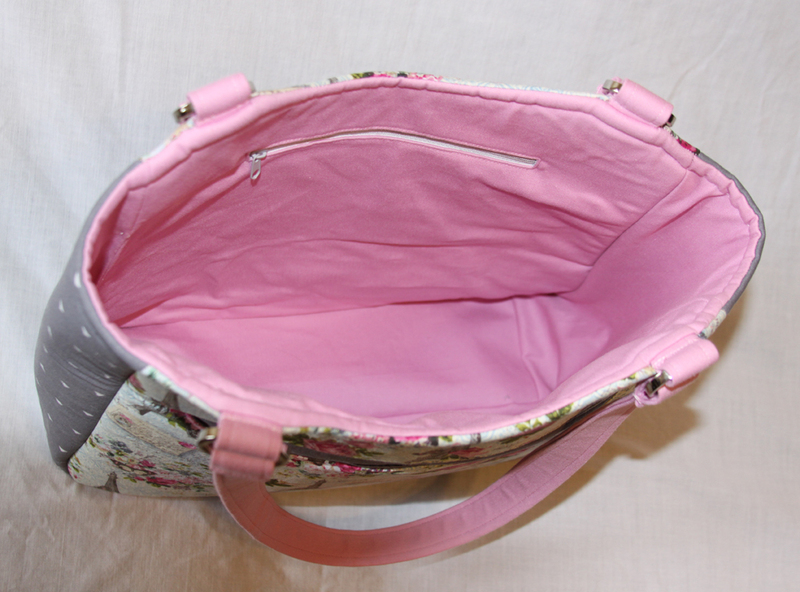 The bag turned out terrific and I love the bigger size and straighter sides for a nice, big tote. 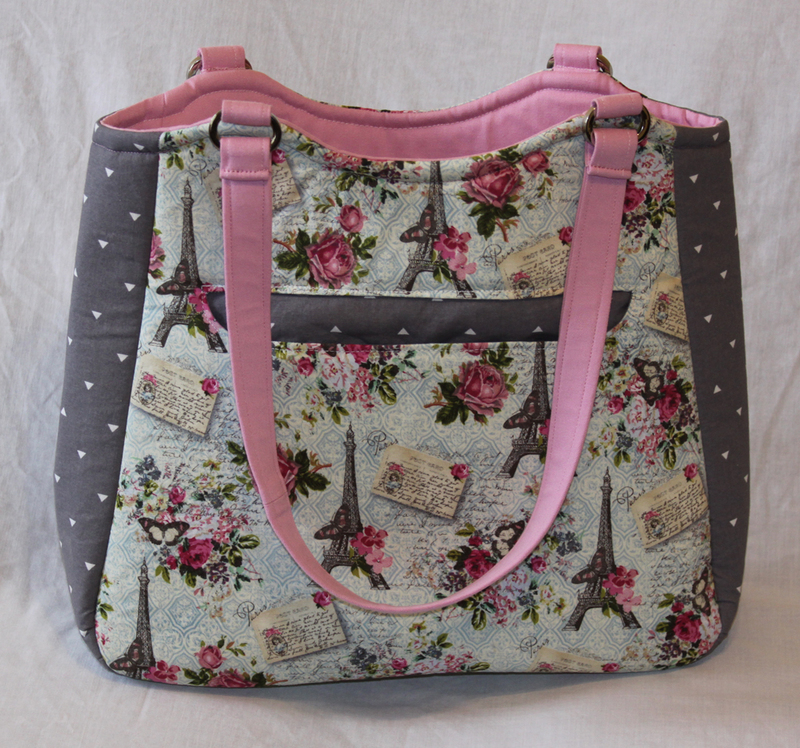 Update: I donated this bag to be raffled off at my daughter’s special needs school fundraiser.